Q 1. WHO IS THE DEVELOPER OF THE APEX LEGENDS GAME? Q 2. WHAT KIND OF GAME IS APEX LEGENDS? Q 3. WHAT IS THE MAXIMUM AMOUNT OF MEMBERS IN A SINGLE TEAM? Q 4. NAME THIS CHARACTER. Q 7. WHAT IS BANGALORE’S REAL NAME? Q 8. WHAT IS MIRAGE’S REAL NAME? Q 9. WHERE IS A TEAMMATE REVIVED? Q 10. WHICH LEGEND HAS THE BEAST OF THE HUNT ULTIMATE ABILITY? Q 11. WHICH LEGEND HAS THE CARE PACKAGE ULTIMATE ABILITY? Q 12. WHICH LEGEND HAS THE DEFENSIVE BOMBARDMENT ULTIMATE ABILITY? Q 13. WHAT DO YOU CALL THE IN-GAME CURRENCY? Q 17. NAME THIS WEAPON. Q 18. TRUE OR FALSE: THE DEVELOPER OF APEX LEGENDS ALSO DEVELOPED TITANFALL. Q 19. 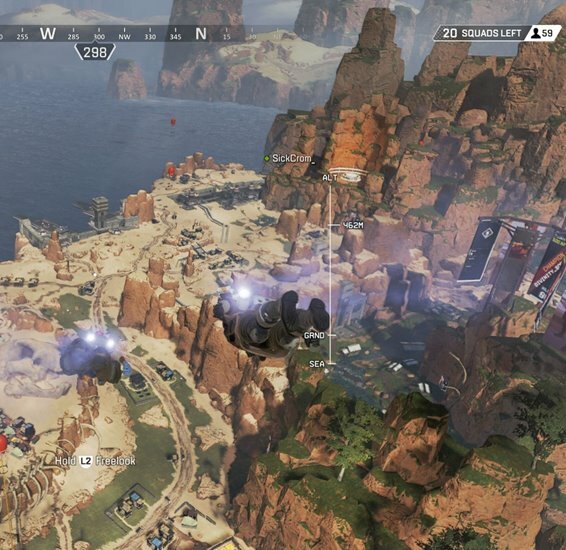 APEX LEGENDS TAKES PLACE HOW MANY YEARS AFTER THE EVENTS OF TITANFALL 2? Q 20. WHAT TEXT DISPLAYS ON THE SCREEN WHEN YOU WIN THE GAME? Q 21. WHEN WAS THE GAME RELEASED? Q 22. WHAT BIRD IS SHOWN ON THE ARM OF BLOODHOUND? Q 23. WHICH LEGEND HAS THE NOX NAS GRENADE ULTIMATE ABILITY? Q 24. TRUE OR FALSE: APEX LEGENDS IS FREE TO PLAY. Q 25. WHICH ONE OF THESE IS NOT A CHARACTER IN THE GAME? Q 26. WHICH ONE OF THESE IS NOT A PLACE IN APEX LEGENDS? Previous article ¿Cuánto sabes sobre F·R·I·E·N·D·S ? ¿Cuánto sabes sobre F·R·I·E·N·D·S ?